Save Time. Save Money. Sell More. Introducing a better way to market real estate. Our listing packages provide the basic building blocks of a complete marketing strategy at a “listing” level. The first time you order with us we’ll work with you to design and build a custom-branded marketing template that represents “you” and where you’re headed. 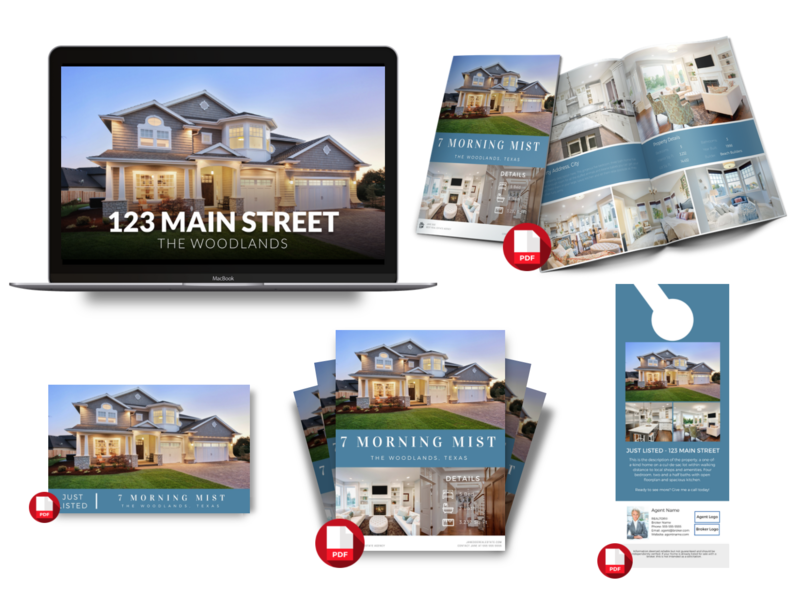 Once your template is established, we’ll use it to create the marketing materials shown here for just $99 per listing. We also offer printing options for your convenience. The only way to get ahead is by doing something your competitors don’t. We turn your new listings, price reductions, or sold properties into results you can share with your clients. 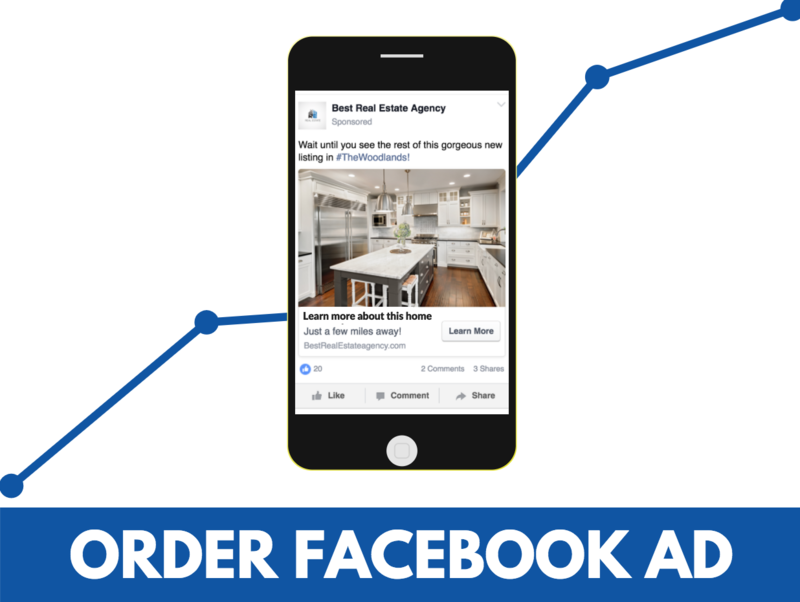 We’ll create and run a highly targeted ad for your listing for 3 or 7 days with no monthly or long-term commitments!